“You may have seen the forecast of unsettled weather over the next few days with heavy rain and lightning affecting parts of the East and South East of England. Our electricity network is built to be resilient but extreme weather can affect overhead and underground power lines, resulting in some customers losing their electricity supply. Where this happens we work to restore power as quickly and safely as possible. We have organised for additional staff in our contact centre to help customers whose electricity supply might be affected by the predicted weather, and we have called-up additional engineers to carry out repairs to our electricity network. In response to concerns raised the Town Council decided to review the Cemetery Regulations relating to adornments on graves and agreed on 12th September 2017 that the current rules should be adhered to. The full rules and regulations can be seen in the cemetery tab on the navigation menu. Particular attention should be paid to Rules 8.1, 8.3ii, 9.11, 11.2 and 12. Notices will be posted at the Cemetery and gradually sent out to known owners of Exclusive Rights of Burial requesting that these rules be followed. The Town Council hopes to keep Watton Cemetery a pleasant place to visit. Thank you to everyone who attended the successful 2017 Annual Town Meeting. 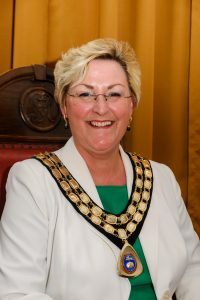 The Town Council was encouraged to see so many residents attending and it is hoped this indicates future good relationships and engagement with the local community. All reports are available via the Annual Town Meeting tab in the menu bar. To donate £30 towards Wayland Academy for sponsorship of a prize at the Annual Achievement Evening. A tree survey is to be undertaken on all trees the Council is responsible for. The lighting in the public toilets is to be replaced with more cost efficient LED lighting. The Council will become a member of Community Action Norfolk. It is the time of year the Council needs to be considering the budget and therefore the precept request for 2016/17. This will be discussion for the next meeting along with the Cemetery Rules which are presently under review. 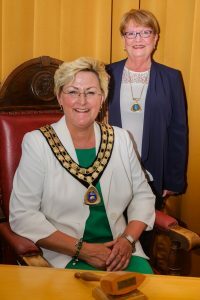 At the Full Council Meeting held on Tuesday 8th May 2018 Councillor Tina Kiddell was elected as Town Mayor for 2018/19 with Vice-Chairman Councillor Pat Warwick.